“Dr. Chris Gilbert uncovers the root cause of seemingly inexplicable and mystifying symptoms of many illnesses. Useful advice from an unconventional physician and a knowledgeable neuroscientist, a brilliant pair who provide insight into emotions and effects of stress that trigger physical illness. The uniqueness of this book is that Dr. Gilbert provides the medical diagnosis, and Dr. Haseltine provides explanation based on fundamental neuroscience. A splendid combination! According to Dr. Gilbert, the most common ailments that send patients to doctors – such as joint pain, abdominal pain, fatigue, obesity, rashes, and headaches – are not purely physical problems. “Instead, they frequently have their origin in intense but suppressed emotions, extreme emotions, and internal conflicts deep within the human psyche,” she says. Therefore, the key to healing lies in coaxing the body to give voice to the emotional sources of illness. Then, very often, the symptom will disappear and the body will start healing. Dr. Gilbert has practiced medicine all over the world, from UCLA Hospital in Los Angeles to a Mauritanian refugee camp during her time with Doctors Without Borders. 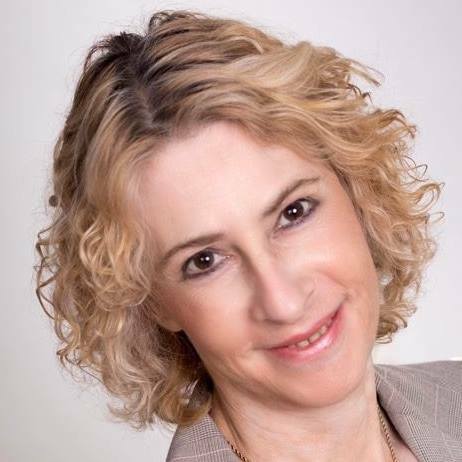 Her techniques include engaging the patient in guided dialogues, dramatizations, arguments, role playing, visualizations, and art creation and go directly to the source of the ailment, working their way around psychic defense mechanisms that stand between patients and awareness of the true cause of their suffering. Her approach, though unconventional, is grounded in science. Throughout THE LISTENING CURE, she and co-author Eric Haseltine present the biological and psychological factors that underpin the success of her techniques. “Our physical bodies, our nervous systems and our brains are all one beautifully complex, connected organism. By enticing my patients’ bodies to ‘speak,’ I am actually tapping into stored memories and unconscious feelings that are intimately connected body to mind, mind to body,” Dr. Gilbert explains. In addition to the science, she also includes stories of patients overcoming a wide range of ailments, allowing readers to understand just how her process works. Screaming Your Way to Good Health – You can release pent up feelings – and stop them from damaging your body – by screaming whatever comes to mind. This allows your unconscious to speak the truth about the root cause of your pain. Beating pillows that represent the source of your anger is also a useful exercise. Inner Group Therapy – Different parts of your body may have different needs and desires. Therefore, you should encourage your various body parts to “talk” to each another, just like a group therapy session. For example, if you are suffering from abdominal pain, you might imagine that your mouth is saying that it enjoys eating donuts and other deep fried foods. But your belly would say that it cannot digest those foods well. Then allow your “me-diator” voice to step in and find a compromise solution, such as eating deep fried foods only once a week. “Compromises that come from deep within are usually fully accepted, whereas orders from doctors are seldom fully followed,” Dr. Gilbert writes. Speaking Through Dreams – If you have a chronic, difficult-to-treat condition that coincides with a recurrent dream, that dream may enable you to explore the unconscious origins of your ailment, says Dr. Gilbert. “A repressed emotion expressed in a dream may also be the one causing the symptom,” she writes. Always keep a piece of paper and a pen at your bedside so that you can document your dreams immediately upon waking. Giving a voice to each element of your dream may shed new light on your symptoms. Conversations in Nature – Taking nature walks with her patients enables Dr. Gilbert to probe their deeper selves by way of the “back door” – the door to the body via the unconscious. You can adapt this strategy by taking a walk yourself, and paying close attention to your surroundings. Whatever your eyes are drawn to is likely to be related to what you are unconsciously and deeply experiencing. A Drawing Worth Ten Thousand Words – Another way to give the body a voice is through art. “By asking my patient to focus on making a drawing and commenting on it, the door to his unconscious opens, allowing seemingly meaningless colors and shapes to reveal deeply buried emotions,” Gilbert writes. Try this yourself by drawing whatever comes to mind, and then focusing on one object you’ve drawn that grabs your attention. Giving that object a voice – whether it’s a rabbit, a tree, or the sun – can open a door to your unconscious. 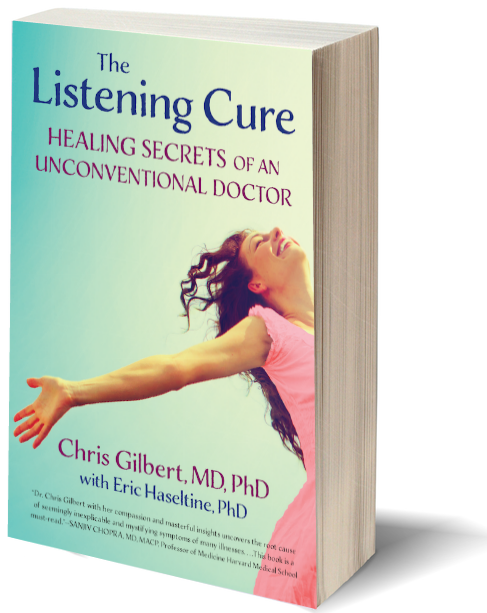 If you want to understand what Mind/Body medicine really is, then read The Listening Cure. This is a curiously terrific book. It draws you in and doesn’t let you go. Dr. Chris Gilbert and neuroscientist Eric Haseltine have produced a book full of canny insights into the importance of stress as a cause of disease, which is both useful and intriguing. CHRIS GILBERT, MD, PhD is an author, speaker, and a physician with an expertise in the field of Integrative and Holistic Medicine. She has dedicated her life to treating and curing symptoms and illnesses that other physicians haven’t been able to address. She is known for her exceptional success in treating chronic fatigue syndrome, anxiety, depression, recurrent infections, lower back pain, sexual problems, unexplained abdominal pain, and arthritis. She is a columnist on Psychology Today. Subscribe to get a sneak peek of my new book, The Listening Cure. You'll also receive periodic updates from me about the launch of the book.